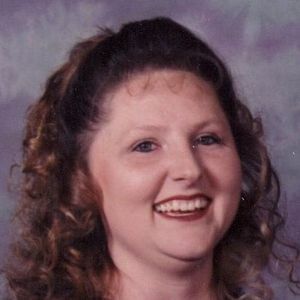 CENTRAL CITY -- Cathy Lee Ward, 41, of Central City died Thursday, Sept. 16, 2010. She was a homemaker. Survivors include a son, Cody Winkler; a daughter, Heather Winkler; her parents, Terry and Carol Allen; a sister, Tara Fulkerson; and her grandmother, Dorothy Sullivan. Services: 11 a.m. Monday at Tucker Funeral Home in Central City. Burial: Bethlehem Cemetery in Bremen. Visitation: After 6 p.m. today at the funeral home. The beautiful and interactive Eternal Tribute tells Cathy's life story the way it deserves to be told in words, pictures and video. Tears and all those blessed moments we shared. Just know we love and miss you momma. Memories...where do I begin? I met Cathy in 2nd grade, she had just moved to Ohio County and just a few miles from where I lived. We instantly became friends, That friendship grew into a very special friendship. Cathy was my best friend all through school. If I wasn't at her house, she was at mine. Her and her sister Tara, were both just like the sisters I never had. We were inseperable. If they went to the grocery, you better believe their mother stopped to pick me up and I too went along. We didn't miss a school dance, ball game or anything. I thank God for the special memories I hold within my heart. I love you Cathy and some sweet day I will see you again! we met Kathy a few years ago,and our friendship was instant. she was a good person to be around. she will be sadly missed.my thoughts are wjth her childern. I want to say that my thoughts and prayers are with you all. PRAYING FOR YOUR FAMILY IN YOUR TIME OF LOSS. in the memeries you all shared with her. My prayers are with you and your family.